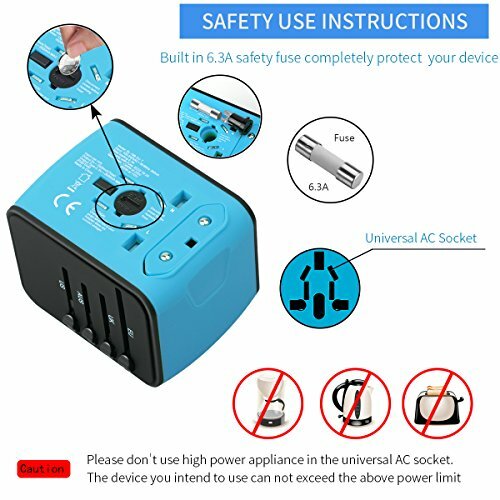 Flame retardant material: Castries travel adapter is made of high quality flame retardant material, resistant to high temperatures up to 800℃/1472℉, more secure and stable, you can use it rest assured. Safe fuse: with built-in 6.3A fuse, if over-voltage, over-current or overload, the fuse will cut off automatically, ensure the safety of your electronic devices. Please disconnect power before replacing fuse. When replacing the fuse, just twist the groove, the fuse will come out. 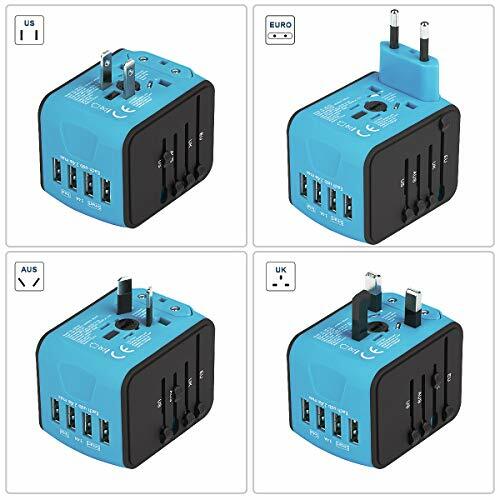 Charge stability:overload protection, no short circuit, keep stable charging. Perfect conductivity:save charging time, can effectively convert 90 percent of your energy. 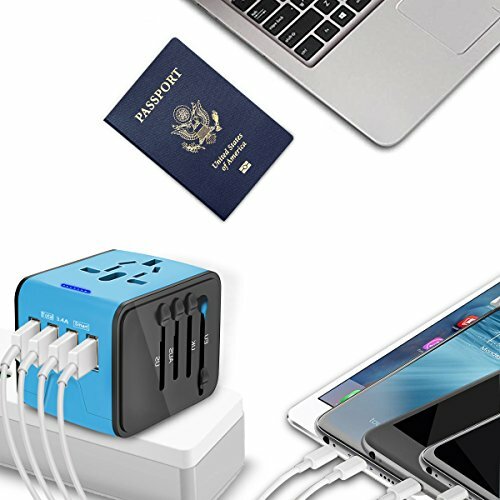 Compatible with any type of mobile phones, computers, tablets, digital cameras and a series of electronic products. It is not subject to any geographical restrictions, you can carry it worldwide. Portable: small size, save more space for you, you can easily carry it to anywhere. Rated Voltage: 100-240V AC (660W max. at 110V, 1380W max. at 230V). Any problem, please feel free to contact us, we will response soon towards your satisfaction. 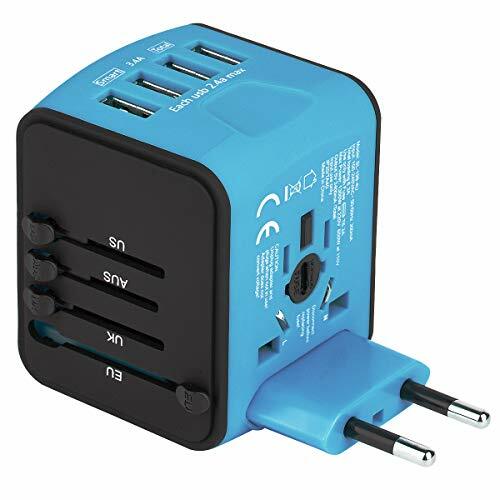 INTERNATIONAL COMPATIBILITY – Travel Adapter with US/UK/EU/AUS plugs and 4 USB ports, can work in Canada, Mexico,Australia,Italy,China,Japan,Saudi Arabia etc., covers almost all Central & South American, European, Asian, the Middle East countries. 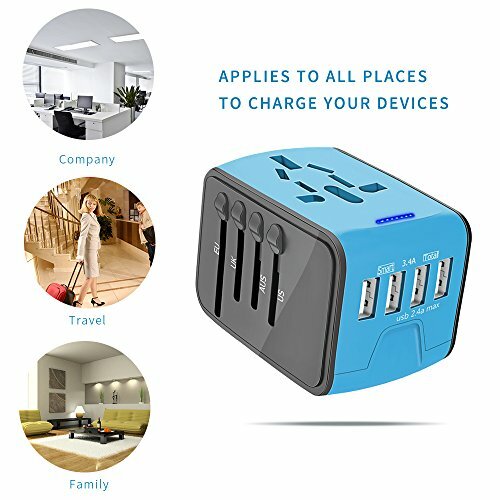 SMART 3.4A FAST CHARGING – Travel Power Adapter allows simultaneous use of the AC power socket and 4 USB ports, support 5 devices charging at the same time, with 5V 3.4A high-speed USB ports, AC 100V-250V, max. 6.3A output. This is NOT voltage converter. INTELLIGENT IDENTIFICATION CHIP – Built in smart IC chip, intelligently recognizes your devices and output the maximum current,charge your devices in a short time. If there isn’t intelligent chip,it will take a long time to full charge your devices. 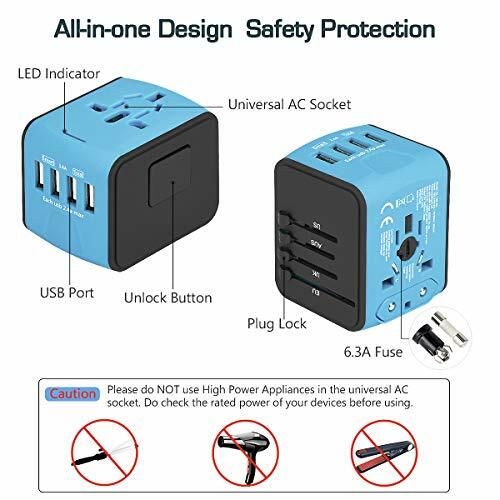 SAFETY – Travel Charger with built-in 6.3A fuse, provide over-current, over-voltage protection.Use high-quality fireproof PC material, resistant to high temperatures up to 1472℉.Built-in safety shutters protect users from direct touch of the live parts. 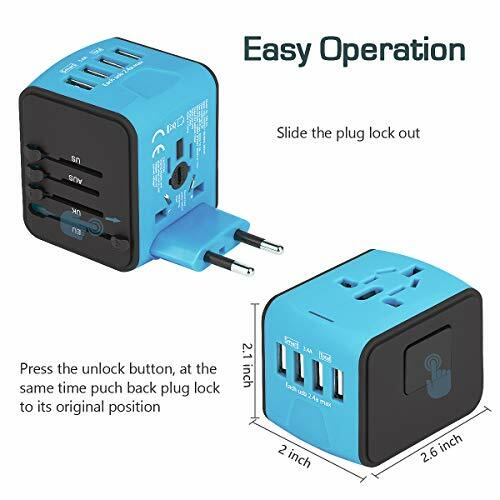 COMPATIBLE WITH ALL USB DEVICES – universal adapter is compatible with almost all mobile phones, Bluetooth speakers, digital cameras etc.PAY ATTENTION: This is NOT a voltage converter, couldn’t convert voltage from 110V to 220V or 220V to 110V.